The name of the company is a combination of two words: Pro(fessional) Mac(hines). 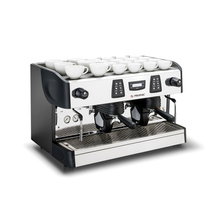 It expresses the brand’s premises: production of professional coffee machines, advanced technology and easy use. 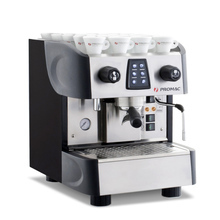 Promac company was established in 1982 by a group of specialists. It grew very fast and had a great influence on the global coffee world, gaining the trust of its customers. High quality of used materials and constant controls of production line make the products very reliable and long-lasting. 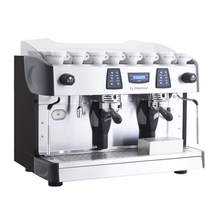 A thermosiphon system is used in espresso machines and guarantees the high temperature of the water inside the group. Thanks to that every espresso tastes the same, as it should. 1 group 2 groups Sort by: Price (Low to High) Price (High to Low) Product name a - z Product name z - a Highest rate Lowest rate New in!